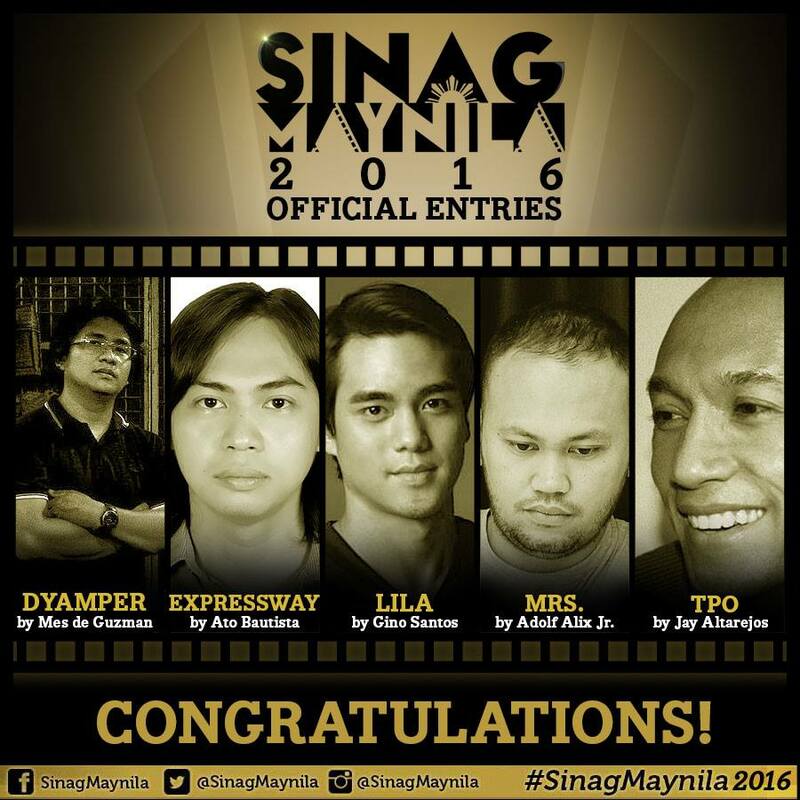 After a successful initial year, Solar Entertainment Corporation, through its head Wilson Tieng and festival director Brillante Mendoza, is proud to announce the entries for Sinag Maynila 2016. More than a hundred entries were submitted and only five films were chosen. Each entry will receive a grant of two million pesos. Apeng, Poknat, and Tinoy are "dyampers" on the lookout to steal from rice trucks as they meander along the treacherous winding roads of Dalton Pass. In one of their encounters, they accidentally discover a pack of illegal substances which will lead them to the biggest mission of their lives. Old-timer Ben needs to do one last assignment before the syndicate boss he works for grants him his much delayed retirement. Assigned to be his partner is neophyte Morris, yearning to prove his worth. This last trip will turn out to be a journey of introspection, self-healing, and redemption. To escape a past that threatens to consume her, a young woman decides to move into a house owned by a warmhearted landlady, looking for a fresh start and a chance for atonement. The house, however, has other ideas. 4. MRS. by Adolf Alix Jr.
70-year old Virginia lives in a bungalow house that stands on an earthquake fault area. When her ever-loyal maid Delia tells her she'd be leaving for good, what follows shows a portrait of a woman and a mother trying to juggle the sad realities of life. Teresa, an abused wife, attempts to secure her freedom by filing a Temporary Protection Order against her abusive husband only to be caught in the battered system of bureaucracy filled with neglect and indifference. The second Sinag Maynila Film Festival will run in March 2016.